Home › Reviews › Is Forum Coin Legit? Is Forum Coin Legit? Can you make money posting to forums? Let’s find out. Forum Coin is a simply designed online community, where members can earn “ForumCoin“, by making posts on forums and also through ForumCoin referral program. Forum Coin has lofty ideas of becoming the new world currency, a virtual currency. Where you are also able to buy and sell products and also to exchange for real cash. Definitely a cool concept, I just love and appreciate when companies that employ thinking that is outside the box. They have more novel ways to earn or exchange than the traditional approach to forum posting that I find thoroughly refreshing. Like for example the Classified and Exchange program, where you can exchange ForumCoin for other things. Also, I find forum posting to be less tedious as say survey taking. You know everybody has an opinion to share with a unique perspective on each situation. So, why not get paid for expressing it. ForumCoin has a real simple registration process. No 10 test posts as required on other similar sites. I did two other reviews on posting to forums for pay, you can check them out here, Is The Forum Wheel A Scam? and Is Postloop A Scam? Also, more are available down below under Alternatives. These all have a different requirement in order to redeem. Links to your own site. Just about anything on their Classified and Exchange forum. It goes without saying you should be posting in the higher rated forums to earn the most ForumCoin. How Much is ForumCoin Worth? You can earn 25 Forum Coins for each active member that signs up under you. What qualifies as an active member? The referred must have at least 20 posts on their forums to be eligible as an active member. This is to discourage fake accounts being created, and I can understand the 20 post rule. If you have a website or blog, by all means, promote Forum Coin to help you start earning. If you enjoyed this article and wish to join ForumCoin, please support my site by clicking the link below. Been around since 2012, this adds to there street cred. Simple to join, no test required, like other comparable sites, where you have to post 10 test posts. Has an option to withdraw to PayPal. Love PayPal. Started my account and I had two forumcoins right off the bat. Unexpected. Has an active referral program to reward you drawing members to their site. They have a private messaging system to communicate with other members. An innovative Classified & Exchange program, where you can buy or sell just about anything in exchange in ForumCoin. Use at your own risk. An active forum with lots of users. You can receive additional ForumCoins by donations, wither thru members of doing a good job posting to a particular forum. You can discover new sites to which you can make money from while earning. A major negative. Humans hate limits. Limit on the number of posts you can earn ForumCoin, (10 posts per day) but not on posting. You can post as much as you like but won’t get paid. 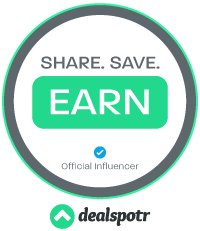 Although they have a referral program, they don’t give a percentage of what the refereed earns instead it’s a one-time payment of ForumCoins. In the long run, you make less. Used to pay more per post in every category. Decreased it over time to what it is now. You’re not going to get even close to being rich by using this site; it’s good for quick cash. Some general tips on posting at Forum Coin. A low-quality post will be deleted. Quality, Quality, and some more Quality. Add to the discussion, don’t reiterate what’s been said already. Start new threads and have them fun and engaging topics. Refrain from the frowned upon thank you or a compliment type post. Don’t even try to post a referral link. As the Kraken will be released. Have integrity. If you truly want to earn money here put some effort in otherwise, in the long run, you’ll be banned. The Forum Wheel – Read my review here, Is The Forum Wheel A Scam? Postloop – (Update: No longer around, it is now ContentGather) Read my review here, Is Postloop A Scam? ForumCoin – Read my review here, Is Fourm Coin Legit? iWriter – What is iWriter? Who is Forum Coin for? Individuals that are looking to make some quick cash by doing easy work. Great for young and old and also disable people on a fixed income is a great way to start earning some quick cash, if unable to find a job where physical work is involved. There isn’t much in the form of training as your just posting to forums. There is a community to get support from and also from the administration. Is Forum Coin Legit. Yes, yes, yes, completely. Members post countless times they been paid on the site and also outside the site. They provide an easy way to earn money from the comfort of your house. I think many people can use this site to generate extra cash from teens to adults. I wish there were no daily limit to the amount you can be paid for, and I see this as a major drawback to the site. But it’s still an okay site to use. ‹ Is The Forum Wheel A Scam? This is a very good way to start making money from home or from metro.mne very suitable, it is another way to make money out of anything, you do not need anything kopeyki.kruto. Yeah, it’s a way to make some money by posting to the forums. It is also a very interesting company as they want to be the new world currency, which is kinda cool. Thanks for the comment. I am one of the administrators from ForumCoin and firstly I would like to thank you for posting a very detailed review of our site. I would however like to explain the reasons behind some of the points you brought up for the benefit of readers. While we do limit the number of posts a user can earn ForumCoin from each day, we do this for 2 reasons. Firstly we have to manage our expenditure to ensure we continue to stay online. 2 common reasons for money making sites closing down are either a dishonest owner or badly managed finances. By limiting daily posts by each user, this allows us to better plan our daily expenditure. It also helps stop users spamming the forum with needless posts in a quest to post as much as they can each day. We originally didn’t have daily limits and some users would post as many as they could daily. Typically their first posts of the day would be higher quality than their last posts of the day as they struggle to make worthwhile replies on topics they may not really know much about. This also allows us to be more lenient that most other paid posting sites and continue to not have to have users prove they can post before being able to earn. While we do charge users ForumCoin to create a signature, there is more to this decision than making back a little amount of forumcoin. Restrictions like this helps us create a cleaner looking forum and allow more focus to be on the content of our site with less interruptions. We aim to provide a very user friendly experience on the site with minimal clutter. We do not fill the site with ads, popups, referral links or begging users to signup to sites so we earn commission. Restricting users signatures to only those willing to pay a small fee helps reduce the clutter and make the site more usable and faster loading inkeeping with the reasons why the site isn’t flooded with ads by us. We do allow referral links however only in the designated sections where users can post ads aswell as their own signature if they have brought the “upgrade” to use their signature. We however do not allow referral links in other sections on the site to prevent spamming or needless posts to promote their referral links. It ensures that posts in other sections are more of a higher quality with less “Sign up here” type posts and promotion topics mixed in with serious money making discussions. The one account per household rule is also typical across alot of money making sites due to alot of users having 2 accounts on the same device and IP and claiming it is 2 people using that same laptop but really it is an easy way to get 2 accounts and we can not prove otherwise. One account per household helps protect us from cheaters and in turn allows us to give more to our other users. Our aim is to be different from the majority of other sites but in a good way. It does mean that some things we do and some of our rules may not be in keeping with the bulk of other sites out there. We do however aim to be honest and pay our users on time and over the years we have done this even with our slightly different approach. The biggest issue we face is managing our finances and while we would love to have higher earning per posts and no daily limits, it really isn’t financially possible as this is why so many other sites fall. We will not make anyone rich… not even ourselves. We never claim to make people rich and we actually see ourselves to be so much more than a paid to post forum. We also aim to be a gateway for users to find other earning opportunities aswell and to discuss ways to make money to help our users to make better use of their online money making time. Again thank you for your detailed review and I do hope that this information does go some way to explain the reasons why our site is the way it is. Hey CyberFreak, thanks for sharing and posting, I am very thankful for your insights and reasons, as they make a lot of sense. I believe Forum Coin is a honest place to earn some money. What I marked as negatives were minor as I couldn’t really find any major faults with your site. Again, thank you for helping others see your site correctly. Forum Coin is the first forum I ever joined. I’m glad because it made me look at a forums in a good light. The Site Admin folks are professional and courteous. To my surprise, they approved me as an article writer. The members are supportive and courteous. Appreciate the additional explanation and clarification offered by Cyber Freak. Also appreciate your review of this site as well. I shared a link to this review in my review about Forum Coin. My review isn’t nearly as thorough so I thought others may want to read what you have to say. I really like this site and it is definitely legit! Last but not least, thanks for listing those alternatives. I may visit and see if they will work for me. Thanks for the comment and the link back to this page. So glad that you find the information helpful. Forum coin is a legit and paying site, I already made a withdrawals here even though I am just new with the site. this is s a great site for making money while at the same time learning something. 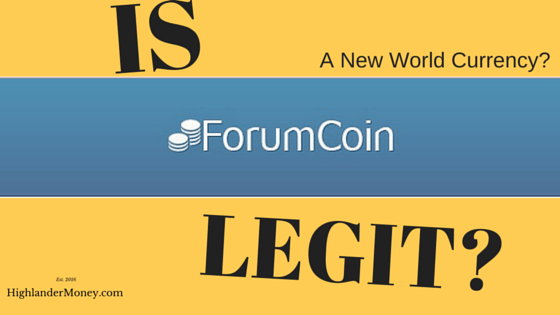 Hey Junrose123, Thanks, for sharing and letting others know about the legitimacy of Forum Coin. Added bonus, as you can learn something there too!